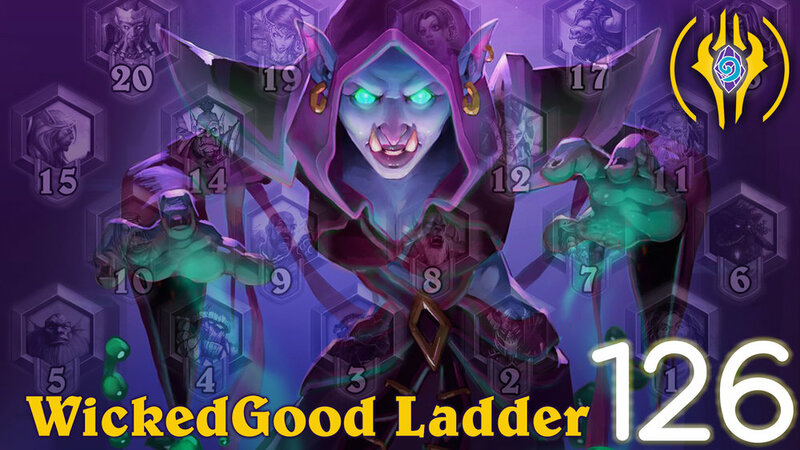 This week WickedGood joins the cast to talk about a new HOT Druid list in the Tempo Variant! We’ve going to chat about the Tavern Brawl and a long discussion on the new ladder system coming in March! Tom60229 wins the HCT World Championship. Ranked chests will still reward you for the highest achieved rank. You also keep all your stars!!! Don’t worry, win streaks are not going away, nor are ranked floors or chest rewards. All ranks now have 5 stars to the next rank. You only have to win 5 ranked games to get your monthly card back. There is a new UI that will tell you how many games you have to win till you get your card back. NOTES: aka what Blizzard DIDN’T say. Changes will apply the “4-rank-back-rollback” in March based on the rank achieved during February. 127 - Velen's Chosen: Nerf Bat Incoming!